It’s February and it’s New Year for our Chinese families and friends! Today, in commemoration of this celebration, we thought of creating a list of beautifully designed living rooms that you can use as inspiration in case you wanted to redecorate your homes in line with the season. Chinese decorations, if you have noticed, focuses more on the reds, yellows, golds, whites, blues and sometimes, blacks. They have these unique pieces of decor that they hang around the room or paste on their walls. Chinese also have this huge vases or figurines which have Chinese inscriptions in them that usually means luck for them! Today, we will be showing you some unique variations of how Chinese became a great influence in Asian-inspired spaces because of some items you will not miss in the pictures, take a look. What a beautiful and sophisticated living room! 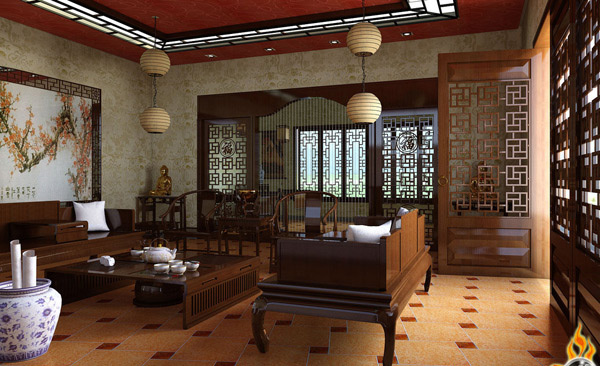 This is one Chinese styled living room with a touch of class! 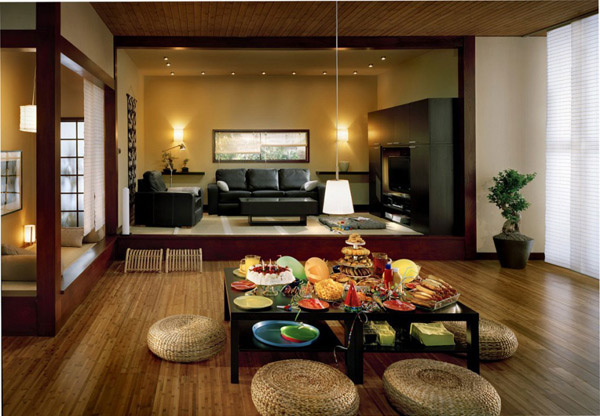 Black being the main color used, wooden flooring and the classic Chinese printed pillows. Definitely a classic beauty! From the beautifully crafted doors and furniture, who would say this is not Chinese? We can even remember Chinese movies with this set up! A perfect example of a Chinese home wherein Modern meets Traditional! The black seating area in the background showcase the modern touches, the table set up in the foreground exemplify the traditional, along with the cute crafty chairs and wood flooring! This room cannot be denied of its Chinese character! 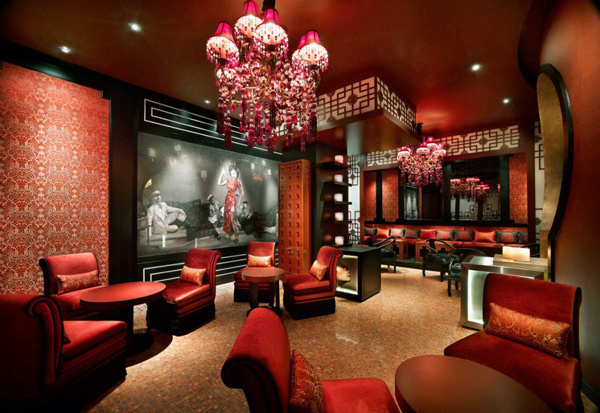 The red surroundings – from tables and chairs, wallpapers, chandeliers and even some touches in the painting! 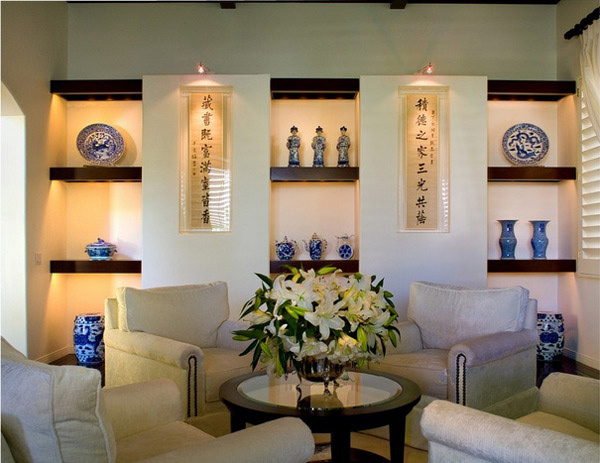 One classic look to a modern space with Chinese influence! In this small and somewhat cramped living room, we are able to see how much value this art collection has, since the home-owners made sure to display them for their visitors to really see them. Wooden center table, red painted wall, and locally made area carpet, we can feel that we are somewhere in Asia in this space. Really modern space, very minimal, but really beautiful. 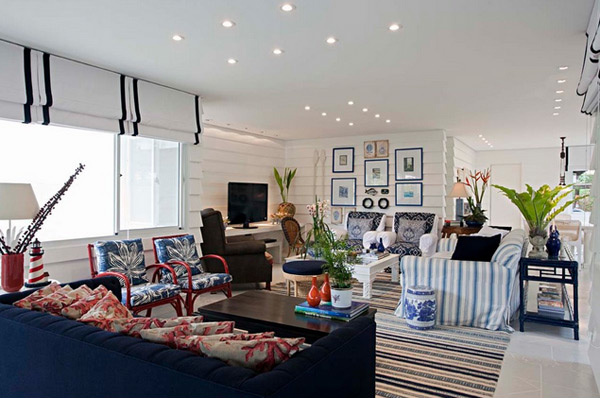 Look at all the white and blue throw pillows in this cute living room. 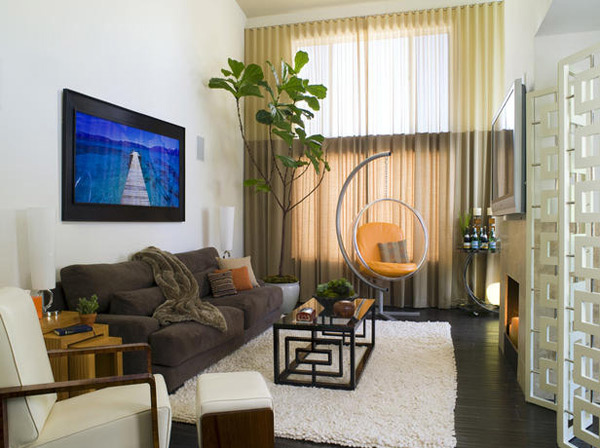 This is definitely a modern area matched up with Asian feel to it! 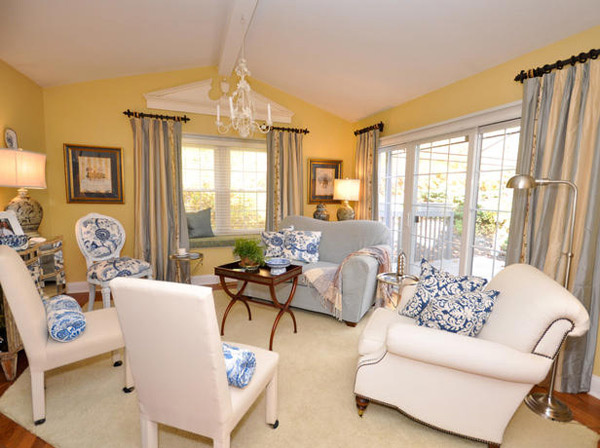 One look at this room and it’s the pillows that you will notice – very catchy! This room is already a mix of Asian influences in itself! It’s like Thai and Chinese all in one. But looking at the decorations in the house – from the sofa to the vases – we definitely see Chinese! 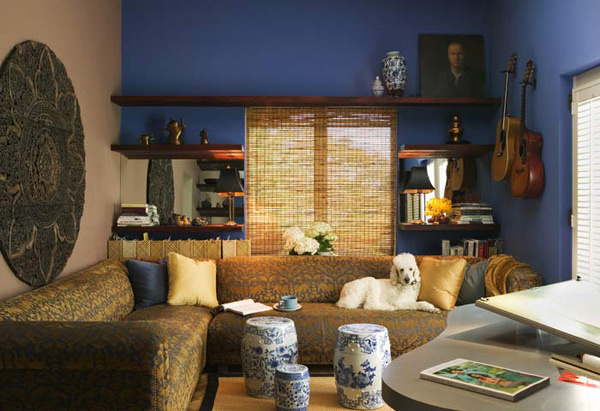 The day bed, the printed ottoman and the bamboos by the wall – what more can we say? This space is for keeps! Look at the modern chair hanging on the side by the window – isn’t it pretty? 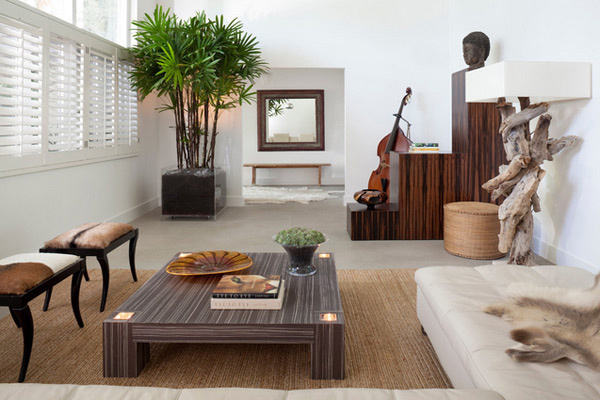 Although we can say that this space is sort of a chic living room, the added plant on the side, the center table and the wall partitions showcase a touch of Chinese in it! A beautiful escape! 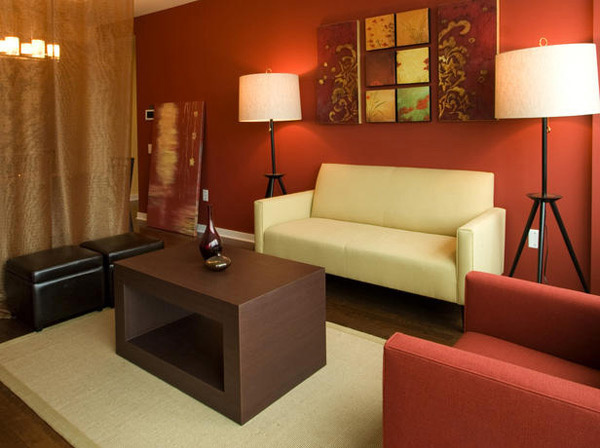 This is a small living area by the bedroom in Noe Valley. The wall decor is something we see common in Chinese homes, the cute box underneath the table – this is one place we can definitely call home! Pretty space to breathe, right? With trimming from all around the world, this space feels so Asian/Chinese because of the chairs, the plants and even the hanging decor, even when in fact, it not from China! White space is flexible that with this space alone, we see a lot of love was placed in it! Love for plants, for music, for nature! That is one thing Asian influence does to spaces like this! A place full of love! This place is definitely something someone would want to know all about – white and blue is the main colors matched with pretty trimmings here and there! 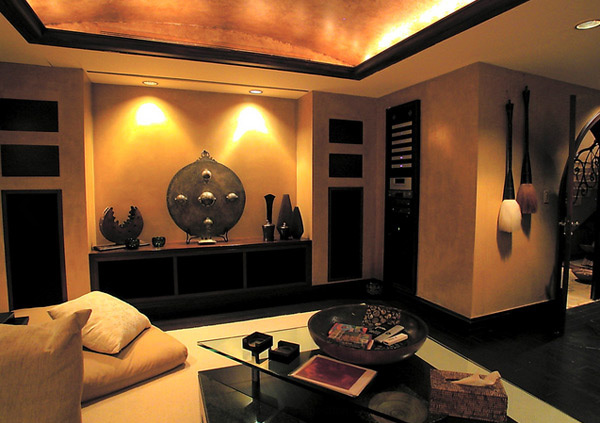 This room is colored with a hint of yellow for the walls, but with the help of correct lighting, gold is achieved to showcase the Chinese character of this room! 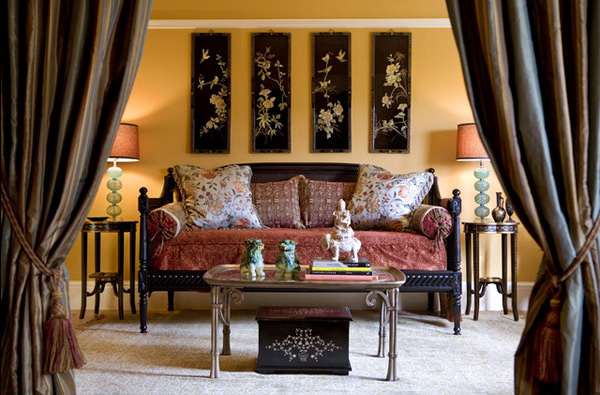 Have you noticed all the items we mentioned above that are must-haves in Chinese-inspired spaces? The red walls, sometimes, bamboos, huge vases, plants and even vintage Chinese chairs! Chinese decorations and design has a lot of influence to us, not only in art and architecture, but in so many things – remember Feng Shui. Oh well, it doesn’t hurt one bit if we check on them once in a while right? Hope you had fun this week! Happy weekend guys!